Comedy and Metal with Jim Breuer! Join us for a night of laughter as Jim Breuer, one of Comedy Central’s 100 Greatest Stand-Ups of all Time takes the stage at State Theatre New Jersey on Saturday, September 17, 2016! 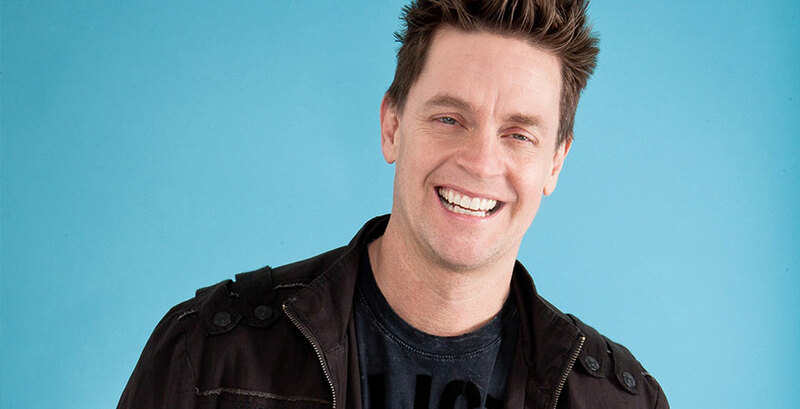 With over 20 years of experience in stand-up comedy, Jim Breuer is no stranger to the entertainment industry. Breuer’s captivating personality and off-the-wall humor is one of the reasons he is one of the most recognizable comedians in the business today. Breuer knew he wanted to be a stand-up comedian as a high school student growing up in Long Island, NY. After working on the New York comedy club circuit, Breuer landed a job on the show Uptown Comedy Club, where he spent two seasons. Breuer found his big break in 1995 after joining the cast of Saturday Night Live. His original character “Goat Boy” and his impressions of actor Joe Pesci are the reason why Breuer quickly became a fan-favorite during his time on SNL. After four years at SNL, Breuer appeared in films such as Half Baked, Zookeeper, and Titan A.E. Through the years, Breuer has been a supporter of various charities including the Chris Farley Foundation, MusiCares, and his local police and fire departments. On top of his television and radio career, Breuer published a book called I'm Not High (But I've Got a Lot of Crazy Stories about Life as a Goat Boy, a Dad, and a Spiritual Warrior) in 2011. Recently, Breuer announced the signing of his hard rock/metal band, Jim Breuer and the Loud and Rowdy, to Metal Blade Records. Over the years, the band, previously called the Jim Breuer band, has performed at festivals such as Rock on The Range, Motohead’s Motorboat Cruise, and Metallica’s Orion Music Festival. The group released their debut album, Songs From the Garage, on May 27, 2016. Check out Breuer’s newest podcast "Jim Breuer's The Metal in Me" featuring interviews with some of today’s top hard rock and metal artists. See Jim Breuer as he takes the stage at The State on Saturday, September 17, 2016.